The poet Bei Dao will inaugurate the Prague Writers´ Festival readings at the National Library with the launch of Night Watch, published in a bilingual Czech and Chinese - language edition by the Festival. 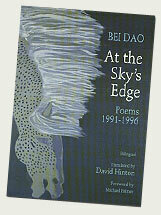 Bei Dao is China´s pre-eminent contemporary poet. 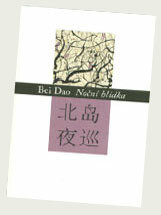 Bei Dao - northern island - is the pen name of Zhao Zhenkai born in Beijing in 1949. After the Cultural Revolution, which interrupted his formal studies, he co-founded the literary magazine Jintian (Today), which first appeared as a big character poster on Democracy Wall. At the time of the Tiananmen Square massacre in 1989, he was in Berlin and subsequently forced into exile. 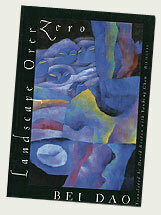 His collections of poetry include The August Sleepwalker, Old Snow, Forms of Distance, Landscape Over Zero and Unlock. This year, Bei Dao became an American citizen. He currently lives in Davis, California. Bei Dao´s visit is sponsored by the US Embassy in Prague. Publication of Night Watch sponsored by VIZE 97. More informations in czech language version of this article.